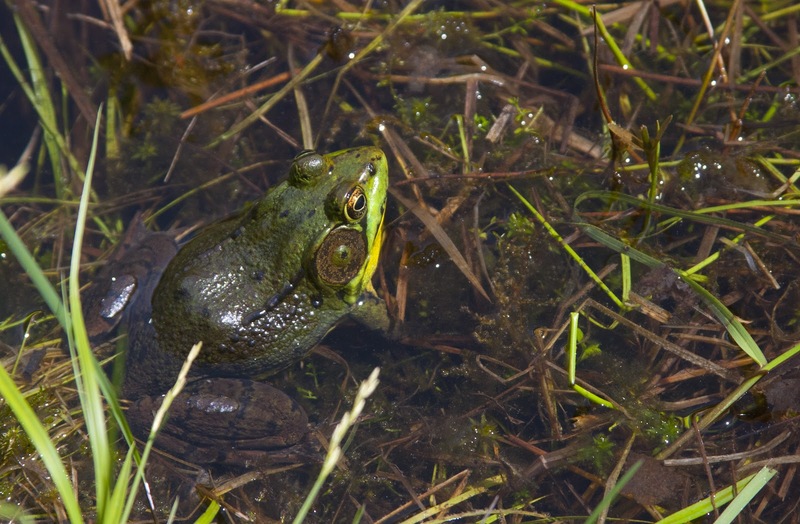 A spring bounty of croaking frogs and wild strawberries currently surrounds the pond at AMC’s Cardigan Lodge in New Hampshire, delighting kids and adults alike. When I visited with my family last week, the frogs were so numerous that we could stand in one spot and easily point out six or seven. 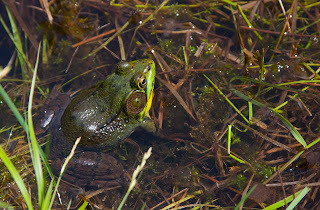 Most were at water’s edge, although a few leaped from the grass at our feet as we approached. The strawberries, tiny but delicious, dotted the field on the far side of the pond. My daughter agreed to leave a few for other kids to find, but go soon if you want to see them this season. Other attractions for families include the waterfall, boardwalks, and bridges on the nature trail that heads into the woods from beside the pond. We saw what I think was a red-spotted newt in its terrestrial eft stage (a bright orange, salamander-like juvenile walking in the woods, rather than a younger tadpole, which we saw many of in the pond), as well as pinecones of wildly varying sizes. Robins, dragonflies, and butterflies were also out in profusion. Last year we hiked Mount Cardigan with our daughter (then just shy of 2 years old) in a carrier on my husband’s back, but this year we decided to stick to shorter, less steep trails and let her do all her hiking herself. Luckily, there’s plenty to see and do below summit level, and my husband found time for a quick hike on his own to a viewpoint, if not all the way to the top. 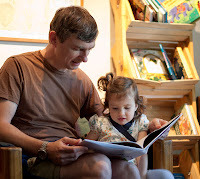 Back in the lodge, this year’s great addition for kids is the new children’s Book Nook in the library, which features three dozen titles, from board-book favorites like Goodnight Moon to books for older readers, like The Evolution of Calpurnia Tate. Many of the books, which were donated by Bright Horizons, feature the natural world prominently, complementing the lodge’s surroundings. If you happen to hit a rainy day and your kids have exhausted the junior naturalist activities upstairs, or if you need some quiet time between dinner and bedtime, these and other books and games in the library will provide the perfect entertainment. Read the history of Cardigan Lodge. Check out an itinerary of summer activities based at Cardigan Lodge, exploring the Lakes Region of New Hampshire. Learn about this summer’s new Wee Wanderers programs in New Hampshire and Maine for families with kids ages 2 to 5.